The Barista League’s Season II travelled via four European cities in 2017. From its first destination, Oslo, to Gothenburg, Copenhagen, and finally leaving the North and heading to Berlin for its final stop. The competition that invites all baristas for a not-so-serious competition format, but a serious chance of winning a sick prize was held 23rd September and hosted by The Barn roastery. 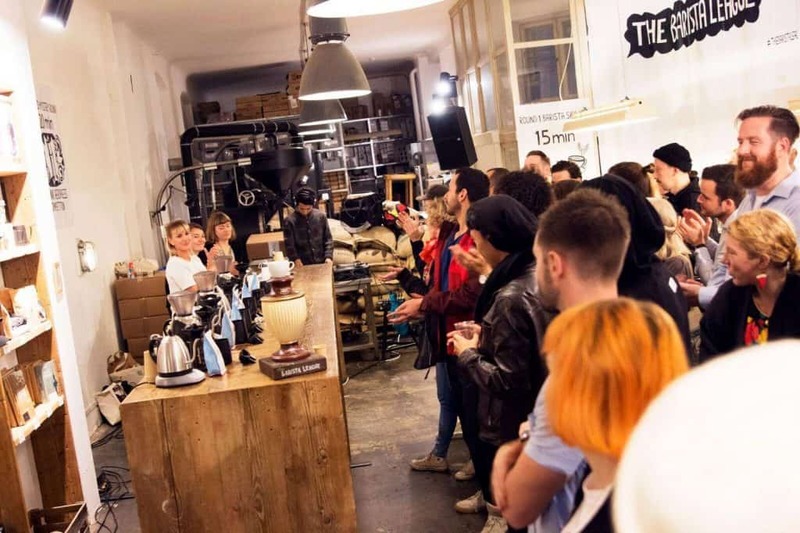 The Barista League Berlin brought a great crowd to cheer at the competing baristas, filling the roastery with good vibes and happy faces until the late night. 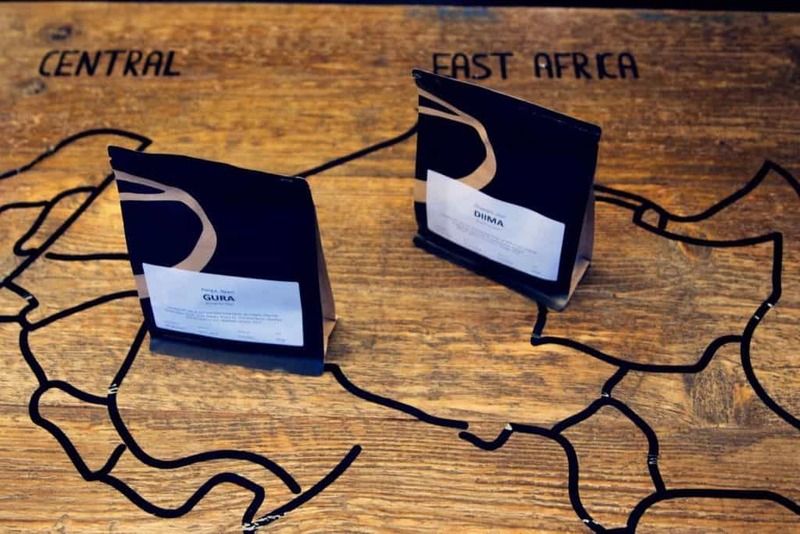 The organisers also got together with another Berlin roaster, Tres Cabezas, to host an opening coffee party at their 19grams Chausseestrasse location. Coffee crowds were invited for a cupping and some Berlin techno tunes. The three-round competition saw 11 teams from Germany, but also England, the Czech Republic and more battle for the title. The winning prize, a field trip to the coffee origin, Costa Rica, was a great motivation for the participants. 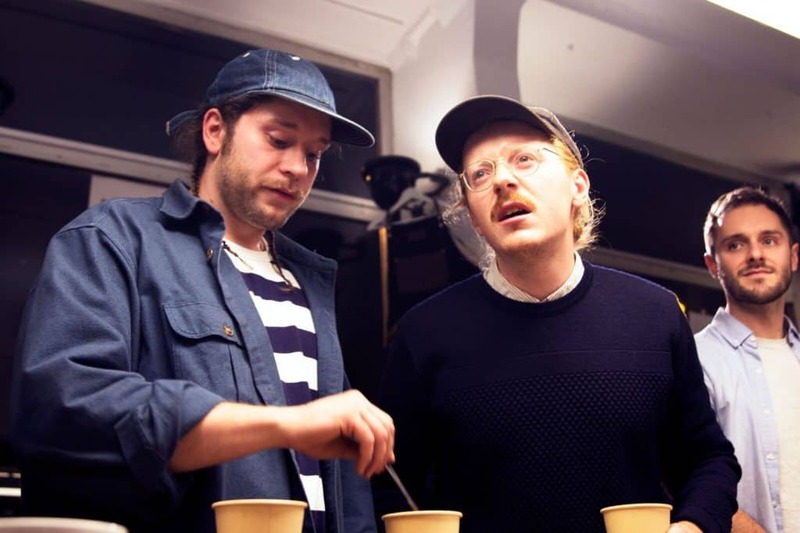 This time around, the winners are seasoned competitors, Berlin-based baristas and roasters, but mainly some of the funniest coffee people you will ever meet. Please, meet Scott Tedder and Joel Wilson-Rogers, aka the team ‘Jamie Lannister's Left Hand’. They really are a couple of funny lads. Hi Scott, hello Joel! Tell us about your respective journeys in coffee and your current roles with your companies? Scott – I’m currently a Roaster and Part of the Quality Control team here [Bonanza Coffee], and occasionally help out with some wholesale/social stuff. After being a barista for 6 years, it’s been a nice change getting to go further back in the chain and learn something new. Joel – I am currently Head of Quality and Part of the Quality Control team at Five Elephant. I come from originally a classical Italian coffee chain in the UK and moved into speciality coffee around 4 years ago. I find you really learn what your skills are when you are then trying to pass them onto others, as putting into words what you're actually doing is always more difficult than you may think. Both of you have known each other for a while, before and after Berlin happened to you. Could you describe the Berlin coffee scene and its development, as seen through your experience within different coffee businesses? Scott – Joel and I have worked together for longer than I care to think about… But I think the scene here is incredible. People seem unafraid to push boundaries a little bit more, as well as think outside the box a little more. Berlin seems to be a pretty independent place, so it’s been really nice to be part of such a non-stagnant coffee scene, that is still developing it’s best way to interact with the customers we have here. 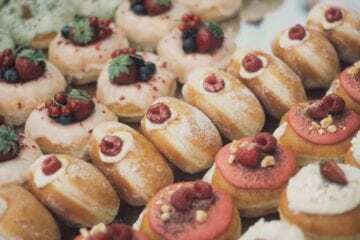 Joel – Berlin just seems to be constantly growing, with more coffee shops and more aspiring baristas and coffee enthusiasts becoming a part of it! I feel as if there is a large community here of young people working in the coffee industry that are all striving to do their best and get free coffee from each other! This was not your first Barista League competition. How did your previous participation help you win this time? 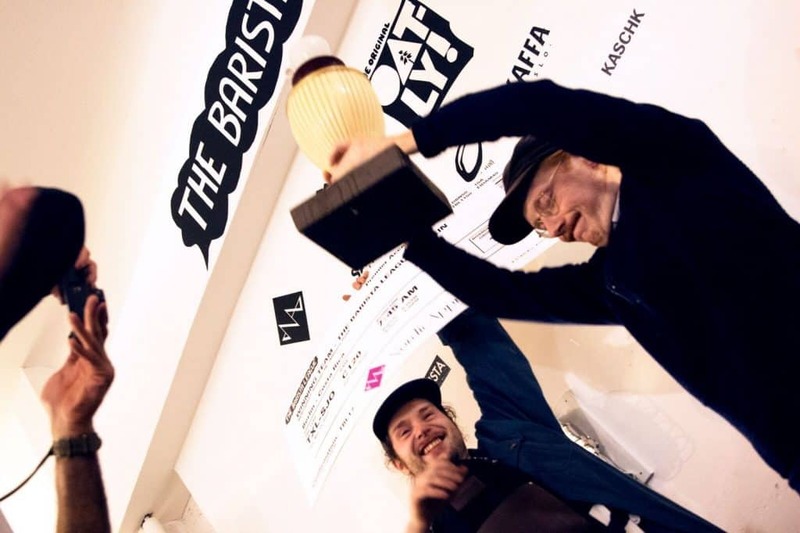 Scott – Joel and I competed last year in the Barista League in Antwerp and came second. So we were back for revenge this year. I think it also teaches you to be able to make coffee whilst still drinking a lot of beer. I think that’s the real challenge. Joel – As Scott said, we competed before in Antwerp, I competed again in Copenhagen this year but found that the beer took over and I became a little unconfident. This time I found myself a lot more comfortable and tried to not take the competition too seriously as I feel the main idea behind this competition is to have fun and test your real skills as a barista. You are not new to competitions, Scott, you competed in the UK Barista Championships this year. What is competing to you? What do you like the most about The Barista Leagues, Joel? Joel – I've mainly taken the role when friends are competing as that of just a friend who wants to help and advise. I myself haven't competed in any national competitions, and not for any particular reason against how they work, I just haven't found the interest. However, I find The Barista League a lot more accessible and a lot more relaxed. As well as I find it represents the work we do every day a lot more. It's also totally a lot of fun. 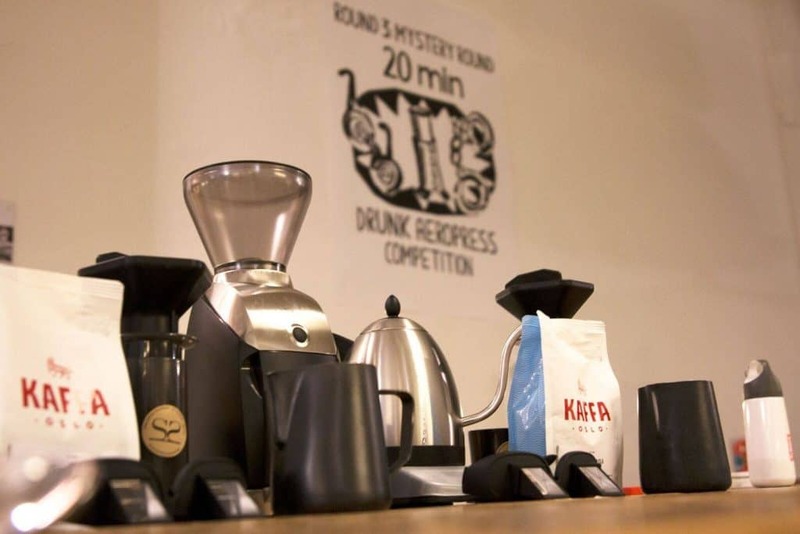 The Berlin round seemed like one of the biggest competitions of The Barista League. Can you describe the atmosphere of the night? Scott – It was nice for it to be in Berlin! All the people that work in the industry are usually too busy working to hang out. So it’s nice when events like these actually bring people together. Especially people from other countries that we don’t get to see as much. Also, I think the prize definitely gave a bit more motivation to do well. Joel – The atmosphere definitely felt good, with a hint of malicious competitiveness. You could feel the fake smiles and high fives clashing between the baristas' eyes. But it was all meant in good fun for at least one evening, friends could push each other whilst also trying to do their best without having shaky hands or thinking about time too much. I think Berlin really had a good crowd and The Barn organized a good show. The competition evolves with each event, what were the competition rounds this time and which one was the most challenging? Joel – You're right, Scott, we decided I would be better to use the goggles as I don't need glasses to see anyway. But I figured if I arrange the objects I need around me and just put them back where I got them from it would keep some form of a structure beneath me. 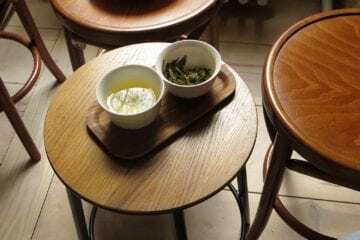 However, I did burn my fingers a little when I made a warm bath to keep the cupping bowl in to keep the coffee warm. As the winners, you are to visit Costa Rica and their coffee farms with the green bean coffee buyers Nordic Approach. What are your expectations? Scott – I’m super excited, it’s always this very romanticised idea of going to an origin. I’m more excited to actually put images to the relatively unknown processing methods at farms. And see the proper order that things happen in. I also hear that you get to eat a lot of fried chicken between cupping rounds, so that’s pretty good. Costa Rica is definitely one of the most interesting origins around at the moment. Lots of experimentation, lot’s of crazy processing, so hopefully, it is a really good learning experience. Joel – I think I expect mostly amazing views, lots of sun, great coffees and, mostly, amazing food. I love beans. I'd never considered visiting Costa Rica nor considered it as the first origin I would like to visit. It comes as a nice surprise and I'm overwhelmed with excitement about the opportunity, what an amazing prize. Who knows.. it could change our lives forever and we may agree to never speak again afterwards. 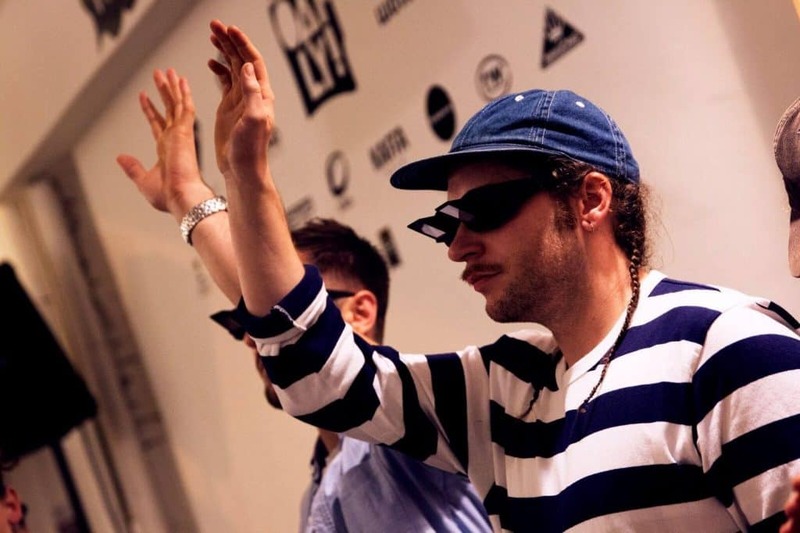 Would you like to share the funniest moments of The Barista League Berlin with us? Scott – I think anytime Joel is effectively blindfolded and has to listen to my instructions is a good day. He was actually weirdly comfortable with the glasses on though… So it was a pretty easy task. We had absolutely no idea that we would even come in the top half, let alone win, so that was a really nice surprise. The idea of us two Yorkshire lads in Costa Rica at the origin is far from when we first started working together about 5 years ago. Joel – After we finished the goggles round I tried to high five Scott and missed miserably. Also, I found it amusing only to myself that I had dubbed Steven [Moloney, the organiser] as Qui-Gon Jinn from the Star Wars series in my own head. What are your plans for the coming months, besides for Costa Rica? Anywhere else coffee will take you this year or in 2018? Scott – I’m actually going to be in Seoul for the World Barista Championships helping support the German Barista/AeroPress champion. So that’s been a lot of my concentration recently. So it’s going to be a few pretty hectic months! Joel – I think I'll take the cash reward I received from this competition and take a visit home… oh wait, there wasn't a cash prize. I guess I'll be counting down the days until I can fly to Costa Rica because I think this will be one of the most important experiences of my life! 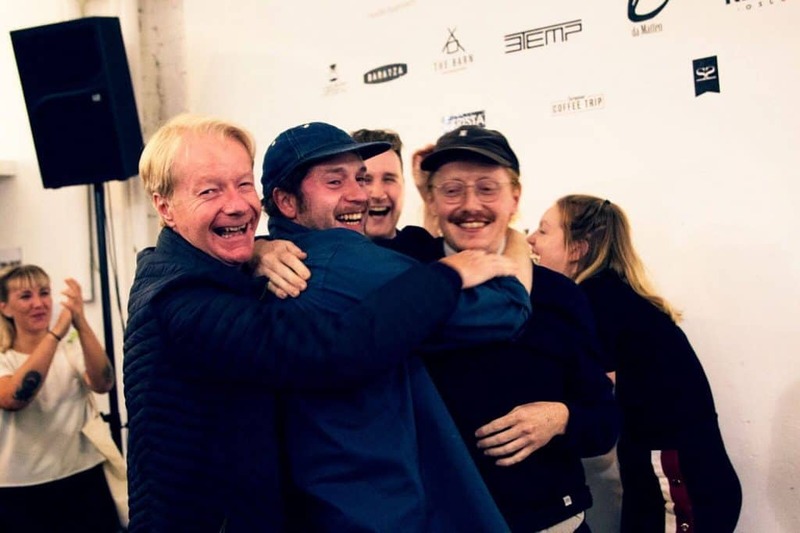 We had fun following The Barista League events in 2017 and cannot wait to see what the organisers will bring next year!